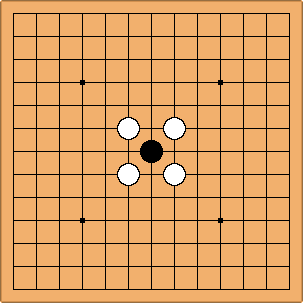 This page is designed for Go players to test their reading skills with the simple objective of keeping a single stone alive. While beginner players will appreciate the simplicity of fewer stones on the board, reading the weaknesses in a shape is often something that we all need to practise. If you know of any others, please edit this page and share your knowledge with others. This Black stone to escape White "geta" and live. 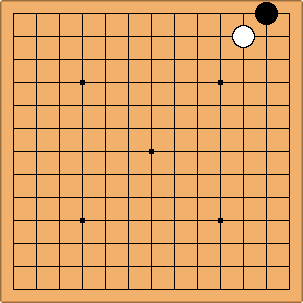 This Black stone to escape White's grasp and live. This Black stone to live at all costs.